The Cost of Air Pollution , a joint report by the World Bank and the Institute for Health Metrics and Evaluation (IHME), also highlights the economic toll, showing that premature deaths linked to air pollution cost the global economy hundreds of billions of dollars in lost labour income. Air pollution is the fourth-largest threat to human health , behind high blood pressure, dietary risks and smoking. 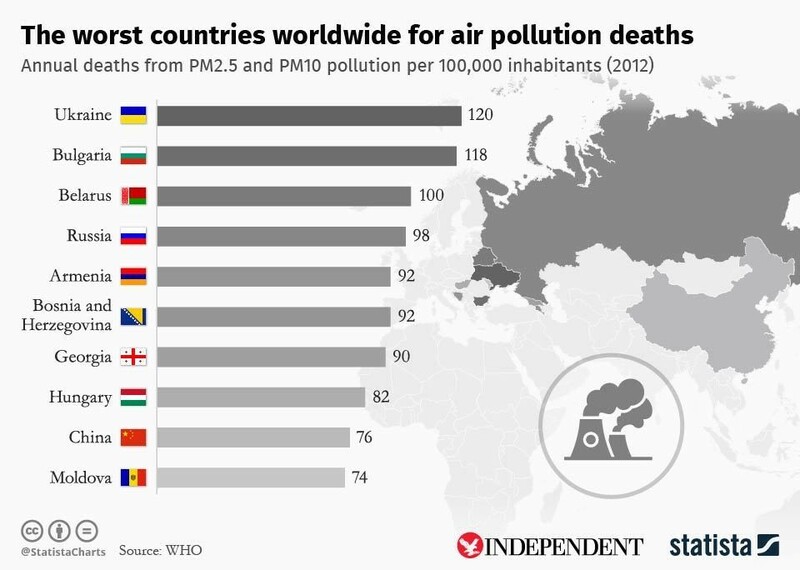 The study by the World Bank and the Institute for Health Metrics and Evaluation (IHME) calculated the economic cost of air pollution. It found that air pollution led to one in 10 deaths in 2013, which cost the global economy about $225 billion in lost labour income .